Christopher Solomon from MSN: Duane Delegan isn't shy about it, he's frugal. Superfrugal. Growing up, when the family was "really, really poor," the Chicago-area man even recalls lending his parents money from his piggy bank. So when Delegan buys a car, he makes it last. 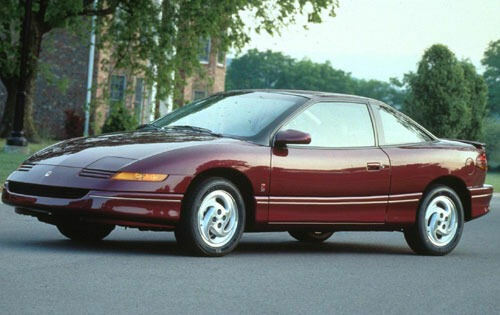 In 1994, Delegan splurged and bought a new four-cylinder Saturn SC2 for $14,000. Saturn has long been a big proponent of an active lifestyle. Today, you'll find Saturn supporting marathons all over the country, but years ago Saturn sponsored a cycling team. According to the 1994 Saturn Cycling Calendar (cover pictured above), the team originally "came together in 1992" and was made up of "a collection of young amateur cyclists from around the country." By then end of their first year in competition, the team "competed in more than 100 races and compiled 53 wins." 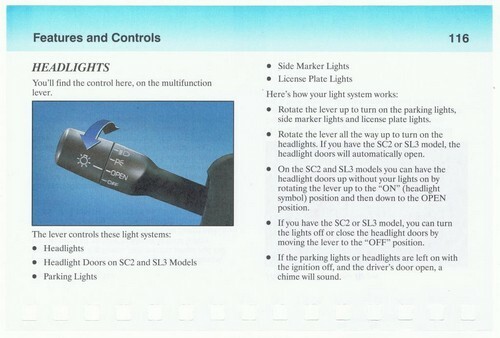 Pictured is the back page of the Saturn brochure printed to tout the 1994 Saturn Homecoming Commemorative Sedan. Saturn built a limited number of these special pearl white SL2 sedans to commemorate the brand's first homecoming celebration held at the Saturn plant in Spring Hill, Tennessee. The MSRP for the Homecoming SL2 was $15,650. Two days after the Wall Street Journal reported that General Motors has been formally discouraging Saturn retailers from touting Roger Penske's planned purchase of the brand, comes word that GM has also pulled funding for a number of popular incentive programs that were previously offered by Saturn stores.